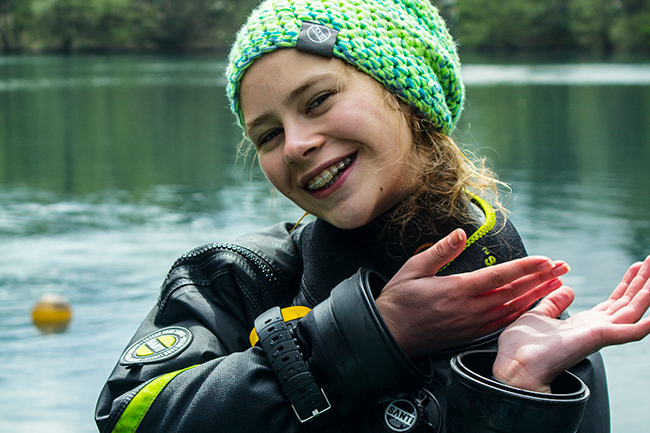 We caught up with Olga Beltsova, who started scuba diving at the age of twelve, about how diving has helped to to gain confidence in and out of the water. Everything started in 2013 I was 12 years old, my dad and I went on a summer holiday to Egypt. We had no wish to lay on a beach and sunbathe all the time, so my father suggested going to a diving centre before we went to learn to dive. You know, sometimes it happens, when you absolutely do not want to do something or go somewhere, but later you realize that this something has become a part of your heart, mind and life. It was the last week before the trip. In spite of the tears caused by my aversion to the swimming pool and after my Dad’s words “If you don’t want, don’t go, but I just wanted to instill an appetite for life in you” we went to one of Mosco’s diving clubs called “Nautilus”. At that time I didn’t know how much I would love that place for years to come. We studied for our PADI® Open Water Diver course for a week in the swimming pool, and continued in an Egyptian Dive Centre “PDL Divers Makadi”. After finishing our course we had made the first step in our future diving life. 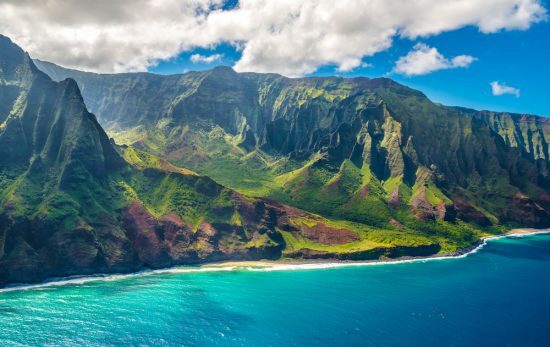 How has scuba diving affected your life outside of the water? When I dive, I have an aim. 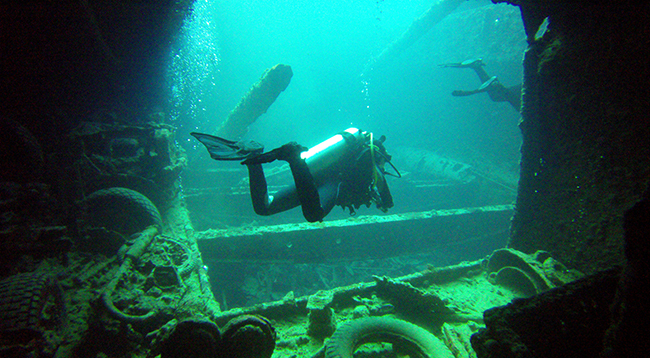 For example, wanting to see a beautiful coral reef or watch sharks; explore a wreck or grotto’s walls. One way or another, when you’re diving, you understand what you like more. When I understood my preferences, such as wrecks and sharks, I fell in love with diving even more. That moment I realized, what brings me real pleasure, made me happier. Diving for me doesn’t mean just going underwater. Diving is a mix of emotions, people and dives. It’s marvelous if you have an opportunity to meet new people and share your dreams with them, because you’ll always have this passion and hobby, which unites you. Before I started diving, I was quite shy, and scared to talk to new people or make friends. I have stopped being that shy person and expanded my circle of acquaintances. Perhaps it was that moment when I realized that I like communicating with new people. Now I have a nice hobby like this and diving weekends are the best weekends for me. What is your favourite diving memory? 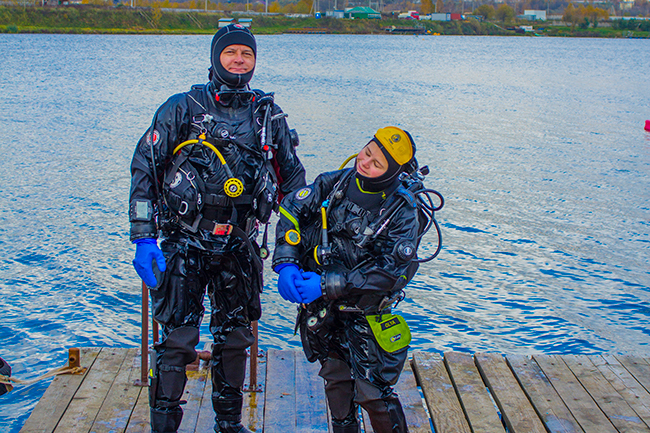 I had been diving in a wet-suit for 2-3 years before my dad and I decided to start diving in dry-suits. I remember my first dry dive very well, as it was quite strange and cold, but it makes me smile now. I think it’s all because of my absolute love to go on cold dives these days. This memory about that first day of the new part of my diving life showed me that everything is possible – even nice trim in a dry-suit or diving in 2°C (which I didn’t believe I’d ever want to do!). 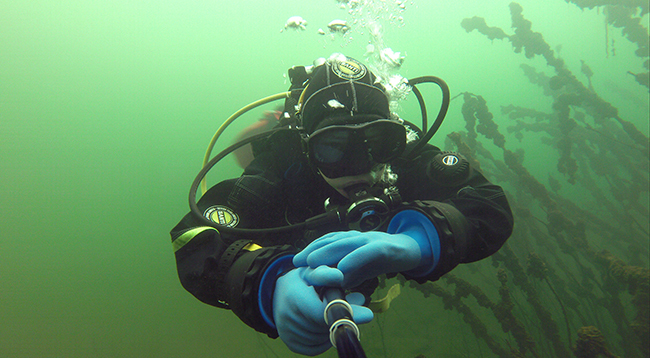 As a younger diver, do you plan to keep going with it? When I was first starting out diving, I thought that 100 dives was something incredibly large and massive, including a lot of stories and experiences. Now I understand that this is not true. Do you have many stories – yes. Experience – yes, of course. But the scale and huge? I do not think so. This is only a small part of what is waiting ahead of me, because I am only 16, and the number of dives is no longer an end in itself, as we dive for pleasure and not for any digits. At one point I was even getting upset by the thought that I’m not very experienced, but then I remembered I’m only 16, I’ve not got decades of experience, but the main thing is my desire to continue. After talking to, and watching, technical divers I realized that diving does not end with the 40-meter recreation. Unfortunately a lot of technical diving courses, as well as cave and ice are only for people over 18 years old. All I can do right now is to gain experience and meet new people, which will certainly help and affect my future. Some years ago I was thinking I would like to achieve my divemaster level in the future, but now I’m more inclined to go down the technical diving route, because it seems to me really interesting. Moreover, I want to try underwater photography soon too. 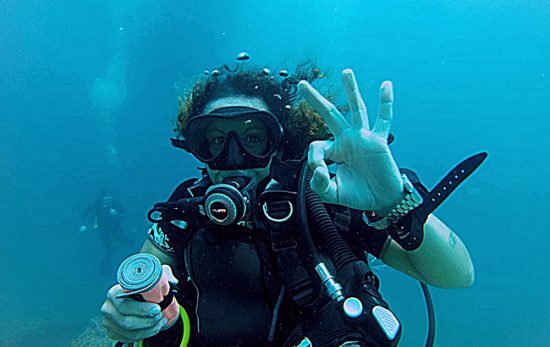 What does ‘my PADI®’ mean to you? From my point of view, it gives a great opportunity for self-expression for those who want to share their diving story. 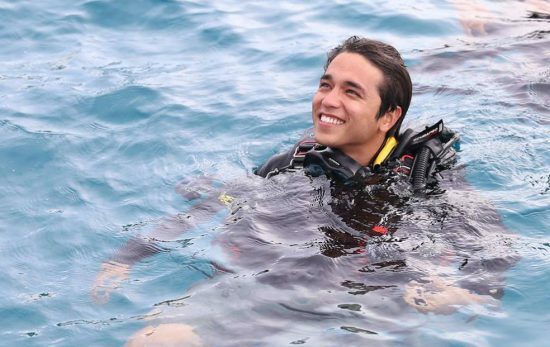 I love diving so much so I want to tell people my story about diving since I was 12 years old. If I fell in love with it, then everyone can! And, I believe you can become happier with it too and it instills an appetite for life, as it has done with me.